Celebrate Halloween in Downtown Albany with safe and friendly Trick-or-Treating and a Costume Contest on Saturday, Oct. 27th. Trick-or-treating is 11 a.m to 1 p.m. Just look for the orange and black balloons marking the participating merchants. Dental care treat bags from Pediatric Dental Associates will be available at the Albany Downtown Association office, 126 Ferry Street SW.
Something new this year is Albany Downtown Association will replace the indoor costume contest with an online contest. Just have ADA take a photo of your little princess or goblin at one of the Xtreme Graphix photo stations then photos will be posted on Facebook for a public vote. There will be two photo stations. 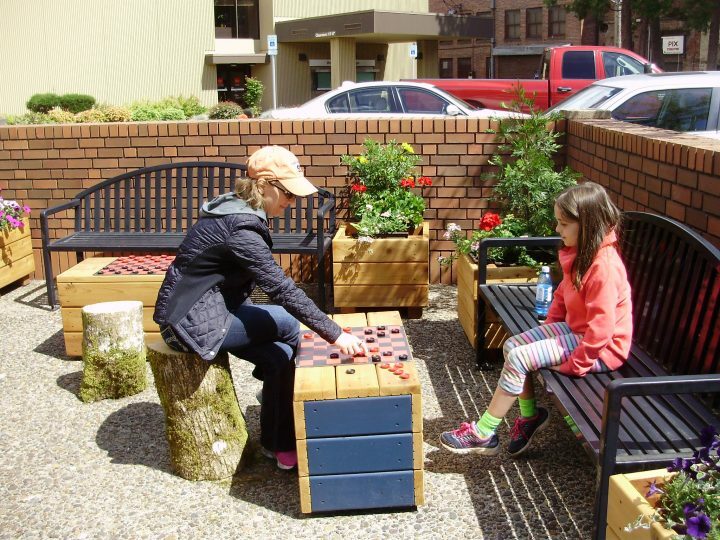 One at the 1st Avenue Parklet near Ferry and a second at Casetta di Pasta in Two Rivers Market. Winners will be selected by the public on Facebook. The contestant’s photo with the most likes and shares in each category wins. Deadline to vote is 6 pm Tuesday, October 30. Winners will be announced via Facebook and the ADA website on Halloween. Contest age groups are 0-3 years, 4-6 years, 7-9 years and 10-12 years. The winner in each age group will receive a First Burger Kid Meal, an Albany Carousel token, and a ticket to The Pix Theatre.